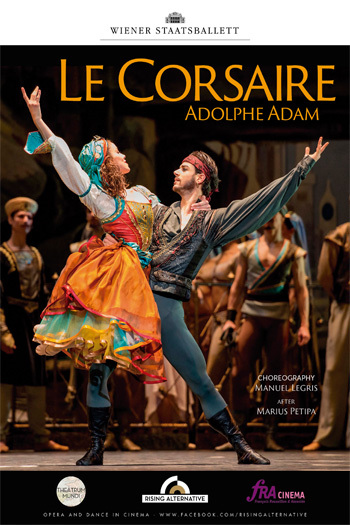 Le Corsaire - Allen Theatres, Inc. Movie Flyer - Allen Theatres, Inc. Since its very first performance 1856 at the Paris Opera,Le Corsaire has been regarded as one of the most impressive narrative ballets of the 19th century. The Director of the Wiener Staatsballett has choreographed a new version, basing his interpretation mainly on the rich French and Russian performance traditions. Action, music, choreography, scenery and costumes are carefully combined into a new overall picture which focuses on the high points of the colourful events surrounding the leading couple of Conrad and Medora.